LUMITOS, operator of market-leading B2B portals and newsletters in chemistry, life science, lab equipment, pharma, analytics and food & beverage, will again sponsor this year’s business plan competition “Science4Life Venture Cup”. Participating entrepreneurs will receive not only the opportunity to win prizes totalling 82,000 euros but also in-depth expert feedback. “Marketing is often not adequately considered when budgets are set up,” explains Stefan Knecht, Managing Director of LUMITOS. “This is all the more true for start-ups that still need to establish themselves in their new markets.” Partnering the Science4Life competition as a silver sponsor for the third time, LUMITOS supports entrepreneurs in chemistry and the life sciences by providing its many years of expertise in online marketing to newly founded companies so they can achieve sustainable success. In the second phase of the competition, the experts at LUMITOS will hold a webinar in which they will provide the aspiring entrepreneurs with basic know-how in successful online marketing. “If you are aware how relevant online marketing is, you can take that knowledge into account when compiling the business plan,” says Stefan Knecht. The eventual winners of the Science4Life business plan competition will be invited to the LUMITOS headquarters in Berlin, where they will receive a tailor-made, personalised coaching session for successful online marketing. 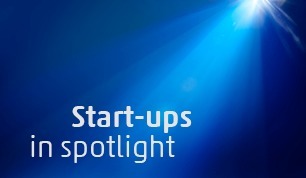 For the past 20 years, the Science4Life initiative has supported young entrepreneurs in life science and chemistry with its Germany-wide business plan competition. Its initiators and sponsors are the state government of Hesse and the healthcare company Sanofi. 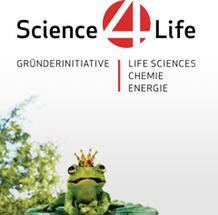 Business concepts in the fields of life science, chemistry or energy can be submitted for the “Science4Life Venture Cup 2018” until 20 October 2017.